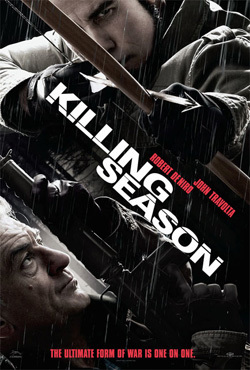 Posted on June 20, 2013, in Previews of Upcoming Movies and tagged Elizabeth Olin, Evan Daugherty, John Travolta, Killing Season (2013), Mark Steven Johnson, Milo Ventimiglia, movie, Robert De Niro, Trailer for Killing Season (2013). Bookmark the permalink. 3 Comments. A great cast, great pairing. I’m curious. Thanks for the head’s up!